Trade Show Booth Design: In on the Angles! This piece is my dedication to the passion and brilliance of those magnificent minds that brought us the design flexibility in variable angles. Dixon Gimpel, Jim Sommerville, Karen Gauthier, Chris Nelson, Greg Mathieson, John Elliott, Ron Bertel, Mark Fritsche, Cathan Murray, John Gettler, Nate Nelson, Scott Roschi, Evan Detskas, Greg Krull and Kevin Franz. When two lines diverge from a vertex an angle is formed. 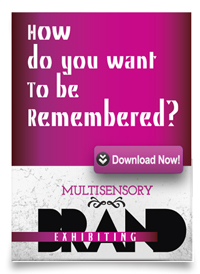 It is a very common design element in the build of trade show back walls. It has been "in" for quite sometime now. Any trade show marketing manager who has been in the circuits have been introduced to it at some point of time or the other. 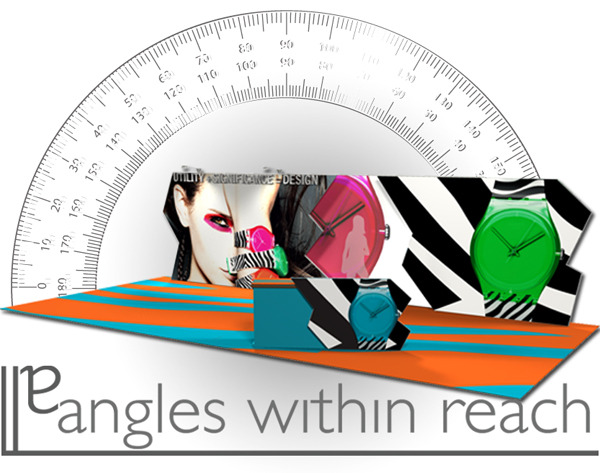 At Exhibitor 2011, we saw the re-emergence of the angles in a massive way. No longer restricted to linear back walls, it now features in islands and hanging signs. As with any trend, the angle in its original form will go through its normal cycle of peaks and valleys before it becomes a distant memory in our minds. We saw this as an opportunity and we striked it. We became creative with angles, gave more dynamics to it. We came up with angular extrusions that is not restrictive of any one angle or the other. Between 0° to 180° anything goes. This leap in angular design reminds me of the four puruṣārtha of experiential design. Dharma is duty: Does it provide necessary utility and significance? It is our duty as designers to add value to a product. Artha is achievement: What does this flexibility in angles do for you? Does it infuse you with distinction? Does it make intuitive sense for a richer experience of your brand? Kama is the fullfillment of sensual desire: Is it exciting to the senses? Is it striking? It it memorable? And finally, the proper balance of Dharma, Artha and Kama leads to Moksha, the freedom and flow of a gratifying experience that transcends the product itself. The space, the event, the time comes to a memorable freezing point.